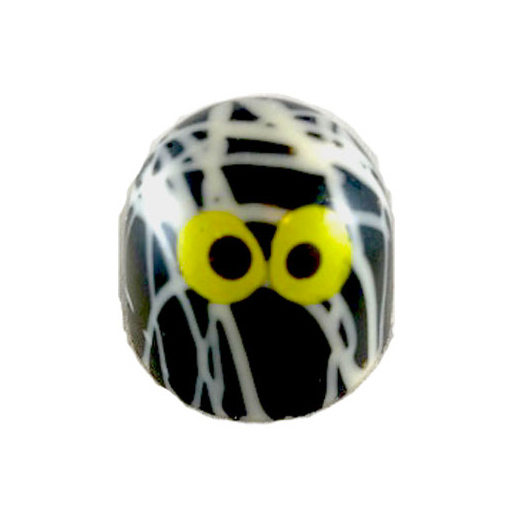 You won’t be afraid of this goblin filled with two layers of ghastly goodness…PB and Jelly! 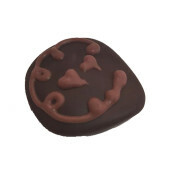 Dark Chocolate brownie bite topped with pecan pieces, drizzled with salted caramel and covered in milk chocolate. 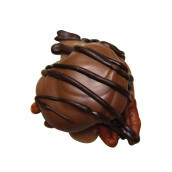 A smooth, creamy butterscotch filling surrounded by a custom blend of milk and dark chocolate. 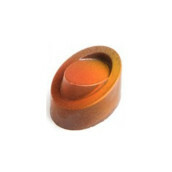 Taking good old fashioned butterscotch to a new dimension. 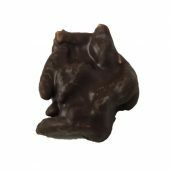 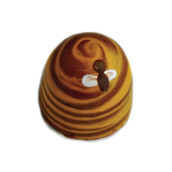 Sweet creamed honey ganache blended with perfectly roasted cocoa nibs in a dark chocolate shell. 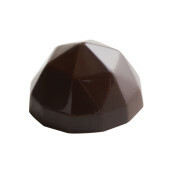 A bittersweet dark chocolate infused with Italian espresso. 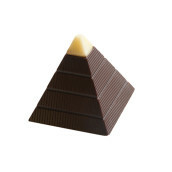 Creamy liquid caramel with a hint of sea salt encased in a dark chocolate gem. 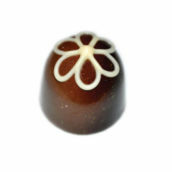 A silky whipped dark chocolate mousse enrobed in dark chocolate. 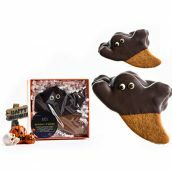 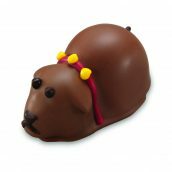 Milk chocolate ganache, decorated in the shape of a Labrador Retriever with almond ears. 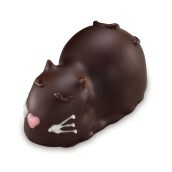 Extra-bittersweet ganache in the shape of a cat with sunflower seeds for ears. 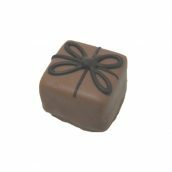 Creamy milk chocolate ganache, enrobed in milk chocolate and finished with a hand painted dark chocolate ribbon.